One upside to winter is the abundance of citrus fruit. I’ve eaten countless clementines and oranges this winter, and although I’m a peel-and-eat type, when I saw this recipe in David Lebovitz’s March newsletter, I started slicing and juicing. 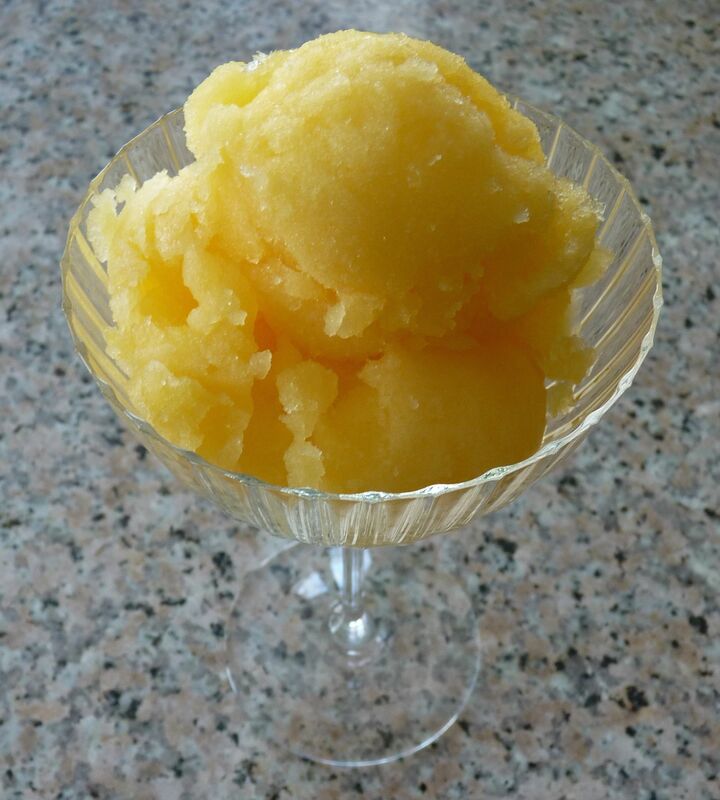 This sorbet is beautiful to look at and fresh tasting – just the thing for an end-of-winter dessert. The original recipe calls for all tangerine juice, but I used a combination of tangerines, oranges, and clementines, since that’s what I had on hand and I needed a lot of fruit to get enough juice (I lost count of how many pieces I used). The recipe also states that the addition of champagne is optional; I’m going to go ahead and call it required. In a small saucepan, combine the sugar with 1 cup of the juice. Heat and stir until the sugar is completely dissolved. Combine the sugar/juice mixture with the rest of the juice and chill thoroughly. Just before churning, stir in the champagne. Churn and freeze, following your ice cream maker’s instructions. Remove from freezer about 10 minutes before serving to allow it to soften before scooping.